Summer Vintage Floral Greeting Card With Blooming Hydrangea And Garden Flowers, Thank You Botanical Natural Hydrangea Illustration On White In Watercolor Style. Royalty Free Kliparty, Vektory A Ilustrace. Image 59810392. 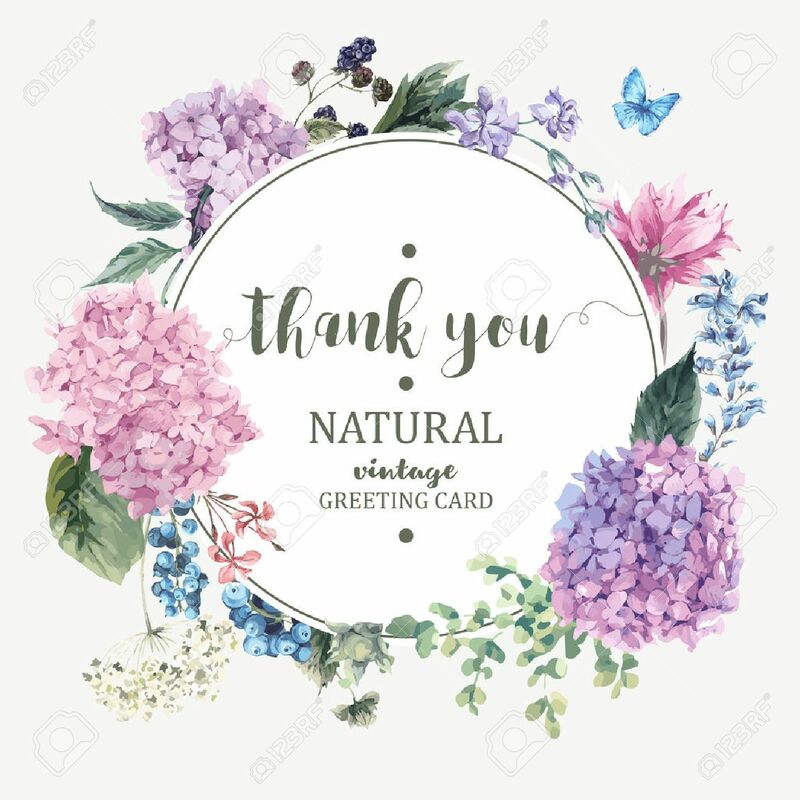 Reklamní fotografie - Summer Vintage Floral Greeting Card with Blooming Hydrangea and garden flowers, Thank you botanical natural hydrangea Illustration on white in watercolor style. Summer Vintage Floral Greeting Card with Blooming Hydrangea and garden flowers, Thank you botanical natural hydrangea Illustration on white in watercolor style.